Lineup Media has won the consumer PR accounts for the Bournemouth 7s festival and Ned's Noodles Bar. 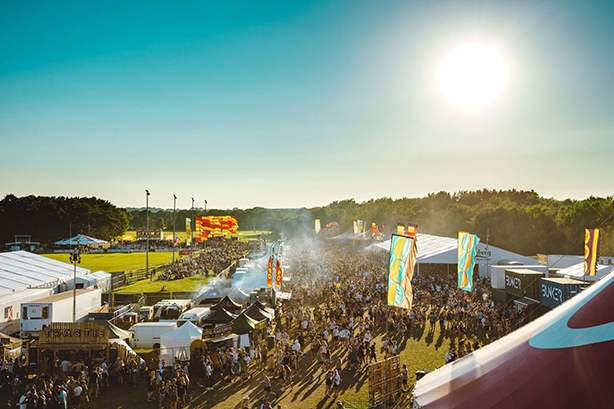 The 7s, founded and directed by Bournemouth’s Roger and Fleur Woodall, attracts more than 30,000 festival goers and 400 sports teams to the South Coast over the late May Bank Holiday weekend, making it one of the largest sports and music festival in the world. Lineup’s remit includes promoting the Bournemouth 7s brand by communicating the 2019 sporting and VIP highlights, and highlighting the festival’s success story to date. "On first meeting, it was clear to us how much magic there is within this team. We are thrilled to be able to spread the Bournemouth 7s spirit and stories across the UK and world through a communications strategy which will cement the operation with creativity to deliver sales," Lineup MD Gemma Harris said. Lineup has also won the PR account of new takeaway chain Ned’s Noodle Bars. Founded by James Breslaw and Roberto Marroni, Ned’s provides "gluten-free, msg-free nutritious noodles and rice boxes" with Ned’s sauces and a range of meat, fish and vegan toppings, plus healthier Asian sharing sides. Lineup will be tasked with supporting the London restaurant brand’s transition into the UK franchise sector and handling new store openings and consumer PR, communicating the Noodle Bar's healthier highlights, success story to date and reinforcing its Asian authenticity. Harris said: "The product is delicious and there’s a gap in the market right now for affordable, healthy noodle bars. They’ve come along at the right time with a great team, a great offering and a really interesting back story. We are really excited to support the franchisees and new store openings and are looking forward to delivering great results for them, long-term."